The Big Daddy Weave (i.e., Baylor grad student, Aaron Weaver), who is a major source of news for all things Baptist, at least in the United States, has posted a history and evaluation of my small, progressive denomination, The Alliance of Baptists. Aaron identifies more with the Baptist General Convention of Texas and the Cooperative Baptist Fellowship, i.e., the “mainstream” of non-fundamentalist (mostly white) Baptist life in the U.S. South. So, this is a perspective from a sympathetic outsider, rather than an insider’s view. That’s helpful to have, from time to time. Earlier, BDW had a great post on the Progressive National Baptist Convention’s call for an end to the Iraq and Afghanistan war at its annual convention. The PNBC, a mostly African-American denomination which grew out of the Civil Rights movement, asserted its identity as a “peace church” or “peace convention,” although different in style from the “historic peace churches” of Mennonites, Quakers, and the Church of the Brethren. Fresh off a jaunt to Chicago to join with others in serious conversation with the theology of Jurgen Moltmann, Bob Cornwall, gives a great review of Moltmann”s spiritual autobiography, A Broad Place. Cornwall, a Disciples of Christ pastor in Michigan (trained as a church historian), has also begun a series of sermon’s to his congregation on their core values. He posts the first, which I think is of interest to more than his congregation (or even to Disciples of Christ), called “A Life of Compassion.” Bob’s blog, Ponderings on a Faith Journey, is worth reading on a regular basis. 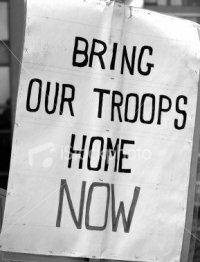 Derrick Crowe, peace blogger at Return Good for Evil, has had a series of posts analyzing the deteriorating situation in Afghanistan that are excellent. In fact, I wish I could get the White House, Congress, and the State Dept. to read and take them seriously. We are going into the death spiral quagmire that we trod before in Vietnam with Afghanistan–and it could do to Obama’s presidency what Vietnam did to LBJ. More importantly, the path we are on is bad for the people of Afghanistan and there are other responses, rooted in the practices of just peacemaking, that could lead to different outcomes–not easily, perhaps, but with greater chance for success than our counter-insurgency efforts. Other good analysis on Afghanistan and much else related to our many wars can be found at The Quaker’s Colonel, the blog of retired Col. Dan Smith, who now works for the Friends Committee on National Legislation, the public interest lobby of U.S. Friends/Quakers. Mike Broadway, Professor of Theology and Ethics at Shaw University Divinity School, who blogs at Earth As It Is In Heaven, lists Reasons for Healthcare Reform. See also his story on war resistance in, of all places, Killeen, Texas! At Inhabitatio Dei, Halden Doerge reprints a “Creed for the Modern Church.” Humorously modelled on the Nicene Creed of ancient Christian consensual orthodoxy, this modern creed shows how the contemporary church (at least in the U.S.) has substituted faith in Laissez-faire capitalism for faith in the Triune God of historic Christianity. This needs to be widely reprinted. Ben Myers of Faith and Theology and Cynthia Nielsen of Per Caritatem have been having a debate over the usefulness of human rights language and their connections to Calvin, Hobbes, and Malcolm X. Cynthia asked me to participate, but I’ve been down this road so many times that I am reluctant to repeat myself. I gave a paper in the mid ’90s that was published in the Annual of the Society of Christian Ethics (which has now become the Journal of the Society of Christian Ethics) that showed that the communitarian claim that rights language is completely individualistic, destroys moral communities, and stems completely from the Enlightenment–are all historically mistaken. I don’t know if I have the energy to repeat, for what seems like the thousandth time, the corrections I made in “Setting the Record Straight: Christian Faith, Human Rights, and the Enlightenment.” For now, see Ben’s initial post here, Cynthia’s reply here, and Ben’s rejoinder here. I might contribute to the debate this weekend, simply because Cynthia asked me. On Sub Ratione Dei, you can find an excellent review of the new book defending a contemporary Anabaptist peace theology, Defenseless Christianity by J. Denny Weaver and Gerald Besiecker-Mast. I have this book on order, partly because of my respect for Weaver’s previous work, and partly because of this review. By the way, the healthcare “debate” in the U.S. has included lots of lies by Republicans (and some by Democrats) about the national healthcare systems of other nations, including Canada, the U.K., New Zealand, Australia. These programs are wildly popular in their home countries, including by political conservatives, and has led to outraged defense of these programs by the people being smeared. (Unfortunately, just as we were healing U.S. relations with the rest of the world, this has begun a new round of anti-Americanism as even Conservative parties are distancing themselves both from their counterparts among U.S. Republicans and from the mild reforms contemplated by Obama and the Democrats.) Here is one spirited defense of Australia’s national health insurance by Byron Smith at Nothing New Under the Sun. These kinds of outraged responses to the lies in the U.S. can be found all over the world. Well,. that’s what’s new around the blogosphere, Gentle Readers. Here are some other blog updates which I will be sure to change on the blogroll this weekend and which I recommend to you all, Gentle Readers. First, my friend, Dan Trabue, who got me into the strange world of blogging in the first place, has changed the name of his blog, from A Payne Hollow Visit to Through the Woods. Note, however, that it keeps the old URL: http://paynehollow.blogspot.com/ . Nothing has changed except the name–which is more in line with the accompanying quote by H.D. Thoreau. Dan still blogs mostly about reflections on life, the Bible, and politics, from his perspective as an (ana)Baptist layperson married to a minister. He also includes much on nature (Kentucky is beautiful when the coal companies aren’t killing it), music (his entire family is incredibly musically talented), and updates about life in our odd little church with the long name, Jeff Street Baptist Community at Liberty. David May, Professor of New Testament at Central Baptist Theological Seminary in Shawnee, KS has another biblio-blog worth perusing, called, of course, NT Studies. Recent postings include his trip to Burma/Myanmar and experiences guest-teaching at the Myanmar Institute of Theology. LeRoy Seat, retired Chancellor of Seinan Gakuin University in Japan, retired Baptist missionary, theologian, philosopher, and ethicist, has just started a personal blog called The View From This Seat which is worth checking out. In his active retirement, Dr. Seat has published one book, Fed Up with Fundamentalism: A Historical, Theological, and Personal Assessment of Christian Fundamentalism (Liberty, MO: 4-L Publications, 2007) and is close to finishing a sequel, The Limits of Liberalism: A Historical, Theological, and Personal Assessment of Christian Liberalism which is due to head to the publisher at the end of this month. I find his blog refreshing, even though it’s format doesn’t allow someone without a Google account (like me) to comment. ALSO: The Baptist Peace Fellowship of North America has launched a new group blog called, appropriately, Baptist Voices for Peace and Justice! Check it out. I will soon be updating my blogroll to include Trinitarian Soundings the new theo-blog by Dr. Molly T. Marshall, President and Professor of Theology and Spiritual Formation at Central Baptist Theological Seminary, Shawnee, KS. Molly was one of my beloved teachers “back in the day” and introduced me to Kate and later married us. Our oldest daughter is named after her. If you doubt the level of violence directed at lesbian, gay, bi-sexual, and transgendered persons because of their gender identity or sexual orientation (i.e., hate crimes), then you should check out Unfinished Lives. That’s the name of a project, a blog, and an upcoming book on the unseen and under reported violence against LBGTQ persons. The project director, Dr. Stephen Sprinkle, is Associate Prof. of Practical Theology and Director of Field Education for Brite Divinity School. He is an ordained Baptist minister (at this Disciples of Christ related seminary) and the first out gay tenured faculty member at Brite. I look forward to the upcoming book and find the information on the blog tragic–and compelling in prodding me to do more to seek both increased legal protections against LGBTQ hate-crimes and to create a culture that works against this evil. This is the lynching issue of our era and the church today is nearly as silent as the church during lynchings of Jim Crow America. And Halden has created a strange contest for “Worst Theologian Ever” (and obvious heretics are not eligible for the game), not in the sense of “dumbest,” but in “most destructive to the church.” It’s a tough call; I’m still trying to narrow my initial list of 50! 🙂 But I’m very tempted to go with the early church historian Eusebius for beginning the long, disastrous tradition of theologians fawning over politicians–and, in Eusebius’ case, the dictator Constantine. But there are so many other rivals for the spot! Rev. Bob Cornwall, a Disciples of Christ pastor trained as a church historian, has moved from California to a new church in Michigan, but is still blogging his Pondering on a Faith Journey. The quirky Chris Tilling, of the New Testament blog, Chrisendom, has been living just outside Tübingen, Germany for 6 years pursuing a New Testament Ph.D. in Pauline studies. Now, he’s returning to his native England to be a Tutor in NT at St. Mellitus College and St. Paul’s Theological Centre, London. This is great news, but how will Anja, his beautiful German wife (the kindness of women is evidence of grace) adjust to the UK? Thom Stark, a fellow pacifist (so I don’t even mind that he’s in the Restoration movement–what we Baptists usually call a “Campbellite” in less than wonderful tones of voice! ), has finished his undergraduate work and is beginning seminary at Emmanuel School of Religion, Johnson City, TN. However, Thom, has given up his wonderful blog, Semper Reformanda, to be part of the group blog, Jesus Politics. Good luck with both moves. D. W. Horstkoetter, of the blog, Flying Farther, is an evangelical who has been on quite the journey. First from Multnomah Bible College to Union Theological Seminary in New York, where he has just finished his M.A. with a thesis on theological responses to torture (nicely done). He is now traveling to do Ph.D. work at the Jesuit-run Marquette University. All the best, D. W.–and I hope the Midwest is exciting enough after The City! Welsh Methodist minister, Richard Hall, who runs the blog with the appropriately Methodist sounding name of Connexions, (note to U.S. readers–that’s not a spelling mistake, but the British rendering of “Connections”) has been moved by the Methodist itinerant system. (Richard, feel lucky. I don’t know of any American Methodist minister, certainly not one with the United Methodist Church, who would get to stay 10 years in 1 post!) He has left his parish in Swansea and moved to Caergwlre, which I am informed is pronounced Kye-goor-leh. Despite Irish ancestry, I have never understood the logic behind the spelling of ANY Celtic language. Honestly, how does one get Kye-goor-leh from Caegwlre? But I wish Richard and family all the best. They have arrived safe and sound. Chris Tidings, a priest in the Independent Catholic movement, has given up his blog, “Even the Devils Believe.” But, fear not, he has simply changed it to The Gifts of God. Changes, changes, changes. Any more that I should know about? God’s grace to all of you in these new ventures. For far too much of Christian history, the majority of the Church universal has interpreted Romans 13 as a blueprint for social and political conformity–even blind obedience to the governing authorities. The worst example of this kind of interpretation was when the German churches used Romans 13 to counsel obedience to the Hitler regime. Although the majority of biblical scholars have long since rejected this kind of reading of the text, it is still quite popular in preaching, especially, but not solely in North American Christianity. I’m not sure I deserve it, Gentle Readers, but I have been given a blog award. Pastor Bob Cornwall has listed me as one of 5 “Blogs That Make My Day.” Now, I am to choose 5 and give reasons. Faith and Theology, the personal blog of Australian theologian Ben Myers, is the best theology blog on the web, period. That would be true even if I didn’t share much of the Barthian perspective Myers holds. It would be true for the links and guest posts alone. Ben’s connection of theology and literature and the arts are also real treats. Since I am not currently either on a church staff, nor teaching theology and theological ethics, this blog keeps me from feeling too far out of the loop. It’s also fun. Thanks Ben, since I know it must be quite a bit of work to keep up the high standards you show. Chrisendom, the personal blog of Chris Tilling, is a mixture of biblical studies (especially NT), contemporary theology, and offbeat humor from an Englishman living in Germany. Tilling is a formerly VERY conservative evangelical who has moved to a center-left view–more conservative on historical matters in Scripture, and more liberationist in theological perspective. I love his humor. I almost always find Chris to be uplifting–and that is a rare treat among blogs. Big Daddy Weave, Aaron Weaver’s blog, is a great blog about Baptist-related matters in the U.S. (for the U.K., I look to Sean the Baptist and for Central America and the Carribbean, I check out Doing Theology From the Carribbean–I don’t have great blog insights into Baptist scenes elsewhere, yet). It’s also good on church-state matters and politics by a younger, white, centrist Baptist from Georgia, living in Texas. Since he is recovering from a car crash, Aaron could also use your prayers. Melissa Rogers has the best blog about church-state matters and the intersection of religion and politics in the U.S. scene that is available. Melissa is an attorney who used to work for the Baptist Joint Committee on Religious Liberty, the church-state watchdog group of 9 Baptist denominations in the U.S. She is now Visiting Professor of Religion and Public Policy at the Divinity School of Wake Forest University and the Founder and Director of WFU’s Center for Religion and Public Affairs. Many of Melissa’s posts are just news updates, themselves absolutely invaluable, but her commentaries are not to be missed, either. Finally, I read daily A Paynehollow Visit, the personal blog of my good friend, Dan Trabue. Dan is a fellow member with me of Jeff Street Baptist Community at Liberty. Like me, he is married to a preacher woman (once there, you never go back!) and draws his faith largely from the Anabaptist strand of Baptist tradition. Dan got me into blogging. He challenges me constantly to simplify my lifestyle. His very musical and artistic family keep me from being so linear in my thinking. He is also the MOST patient person I’ve ever met in dialogue with those who don’t just disagree, but seem to hate his guts! Keeping this list to 5 was hard. Other blogs that make my day include On the Homefront, the peace blog of Marty, a Baptist-turned-United Methodist in Texas whose son fought in the Iraq War. She is a tireless opponent of this and all wars, while also seeking REAL support for the returning troops and exposing the false patriotism of the Right. Dr. Bruce Prescott’s personal blog, Mainstream Baptist, attempts to articulate a non-fundamentalist Baptist perspective in Oklahoma, to combat fundamentalism and both the religious and political right, but especially that portion of the Right which advocates some form of theocracy or near-theocracy. Texas in Africa is the personal blog of a Ph.D. student in political science who teaches at the University of Texas in Austin and who is a U.S. expert on (and frequent visitor to) sub-Saharan Africa. She blogs on Baptists, Africa, human rights, football, politics and much else and has a great sense of humor. I tend to miss some of her pop-culture references because of a generational gap, but I always find her blog fun and interesting and uplifting. Thom Stark, a seminary student in the Stone-Campbell tradition (broadly baptist, but not Baptist) who is a pacifist in the Yoder-Hauerwas tradition with a strong interest in liberation theology, has the wonderful blog, Semper Reformanda, which reminds us that the work of reformation is never finished. Earth as it is in Heaven is not updated often enough, but is a great theology and faith-based social criticism blog by my friend, Mike Broadway. Mike is a fellow pacifist and member of the Baptist Peace Fellowship of North America and he, a white Southerner from Texas, teaches theology and ethics at Shaw University Divinity School, a predominantly African-American institution. He and his family are members in a National Baptist (African-American) congregation. The blog reflects his Anabaptist connections and his strong emphasis on racial justice and reconciliation. For other great blogs, too many to name, see my blog roll. 2) Acknowledge the post of the award giver (Thanks very much, Bob! ).